This tool will help you to determine the return on your investment in a Fluke Thermal Imager. To begin, please indicate the application(s) for which you will use your thermal imager. What is your total investment in Fluke Thermal Imagers? How many new jobs per year will you work? What will be your revenue per job? How many hours do you bill each year? What is your current billing rate? How many hours does this task currently take? How many man hours will this task take with a Fluke thermal imager? How many times per year do you complete this task? You fortunately work in a lower risk environment. Your biggest financial return will come from additional revenue, lower costs, and/or increased productivity. You operate in a medium risk environment. 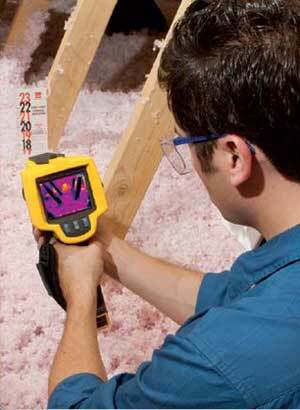 Properly using a Fluke thermal imager can significantly reduce your financial risk. You operate in a high risk environment. Properly using a Fluke thermal imager can significantly reduce your financial risk. How many IR inspections do you purchase per year? What is your cost per inspection? What is your annual utility bill? Potential reduction in utility useage? What is our daily revenue?